While rabbits love company, they can be left alone during the day and are therefore suitable for people who work or are away from home. A predator-proof enclosure to ensure their safety is essential. An appropriate enclosure is a hutch that is divided into two connecting compartments, one a wire mesh to allow access to natural light and fresh air, while the other is enclosed to provide protection against weather and a secure sleeping place. The floor of your rabbit's hutch should be covered with newspaper, with a layer of bedding material like straw, grass, hay or shredded paper for warmth, comfort and to prevent pressure sores on your bunny’s feet. 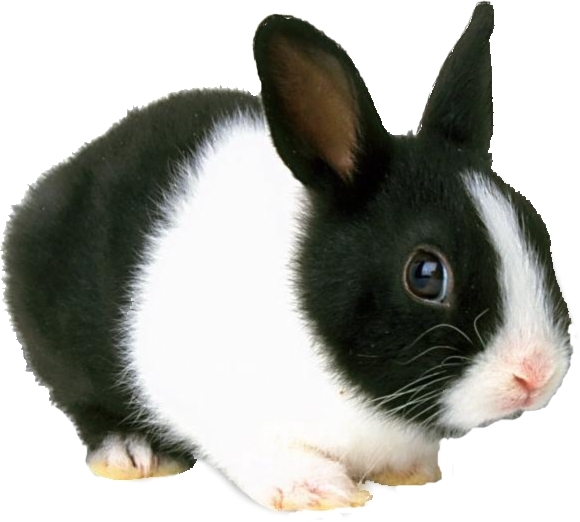 Consider extreme weather conditions and ventilation when choosing a location for your hutch. Rabbits are extremely sensitive to the hot summer & cooler temperatures we experience in our region and may die of heat stroke or the cold if their hutch is not covered in the cold or in a cool, shady position in the summer.